WASHINGTON (CNS) — The Supreme Court took on a U.S-Mexico border issue Feb. 21 when it examined if the parents of a Mexican teenager can sue the U.S. border agent who shot and killed their son. During the oral arguments, the justices seemed divided over who was responsible for the action. Some of the justices stressed that it was a U.S. concern since the teen was shot by a U.S. agent; other justices said that since the 15-year-old died on the Mexican side of the border, the case should stay out of the U.S. courts. The case involves the 2010 shooting Sergio Adrian Hernandez Guereca in the concrete culvert of the dry riverbed of the Rio Grande River separating El Paso, Texas, from Ciudad Juarez, Mexico. Robert Hilliard, attorney for the victim’s parents, told the court that the teenager was “barely across the border, unthreatening and unarmed” when agent Jesus Mesa shot him from across the concrete culvert. 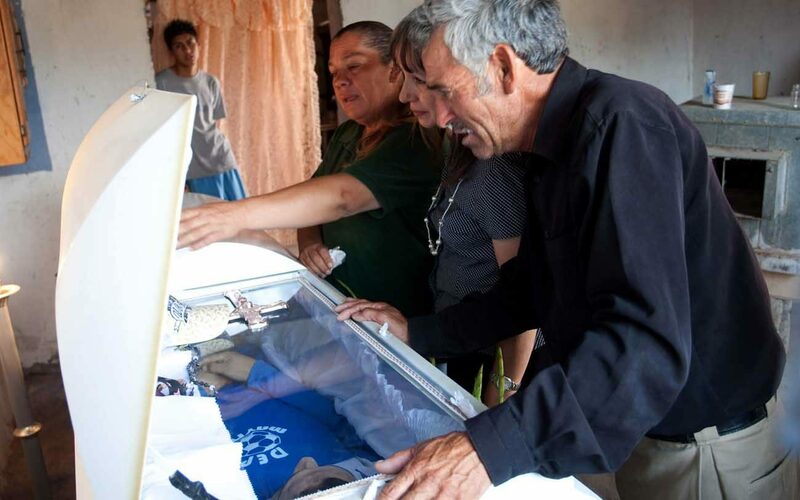 The boy’s family said they have been denied justice in U.S. courts since their son collapsed and died on the Mexican side of the border and was out of reach of U.S. constitutional protections. After a number of court reversals, they are now seeking a Supreme Court ruling to allow them to bring a suit to Texas against the border agent. On the other side of the issue, the agent’s attorneys and the U.S. government say it is not a U.S. issue and even warned that it could have broader implications. Although initial reports said Mesa fired in self-defense, because Sergio and other teens were throwing rocks, cellphone video footage taken by bystanders of the shooting doesn’t show any rock throwing. The U.S. Justice Department never prosecuted Mesa and although he was indicted in Mexico, the United States refused to extradite him. During the oral arguments, some of the justices noted that many border crossings and the areas around them, including this culvert, are administered and maintained jointly by the U.S. and Mexico. They found it hard to pinpoint exactly who controls the middle-zone area. Justice Elena Kagan said she didn’t know “whether to call it a no-man’s land” but said the area was “kind of neither one thing nor another thing” that both countries maintain. “Whatever it is, it’s something very different from most areas where we know exactly whose jurisdiction operates and how,” she added. If the court reaches a 4-4 decision in this case, the lower court’s ruling in favor of the Border Patrol agent will stand. A tie ruling could prompt the justices to order new arguments particularly if Judge Neil Gorsuch, President Donald Trump’s nominee, is confirmed during the court’s current session. Justice Anthony Kennedy, who is often viewed as the swing vote, said he is skeptical of allowing the U.S. court to decide cases like this. “This is one of the most sensitive areas of foreign affairs where the political branches should discuss with Mexico what the solution ought to be,” he said. Deputy Solicitor General Edwin Kneedler, arguing for the U.S. government, said the court should not allow legal claims for “an injury outside the United States.” He said the U.S. and Mexico have drawn a line at the border where protections of U.S. law stop. The site of the shooting is near the location where Pope Francis in 2016 blessed a large cross in memory of all the people who have crossed the border. It also said the shooting led to increased tensions and would make the border situation even worse. “The impunity of this killing will encourage similar acts of barbarism to be committed against Mexicans and immigrants,” the statement said.